Are you a Sale or New Season Shopper? When Sales are on I try to be good and have a plan of what I need to buy and generally I always buy things that don't date and can be used from one year to the next. 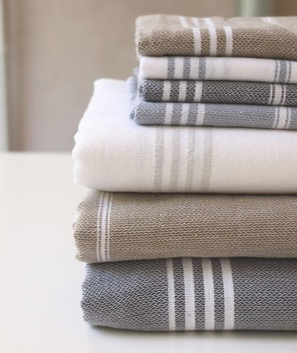 For the house, I buy things like towels (white, grey or taupe), bed linen (white of course! ), platters (again all white) , picture frames (white, I think you get the gist of my colour scheme at home). As far as clothes for me are concerned classics are the order of the day... a good pair of jeans, nice shoes, ballet flats, scarves, pea coats, black tees (although I am banned from buying any more black tees but I will sneak one in there), tights to name a few. As for my kids when they were younger I tried to adapt the same policy for them as well. Fred Bare was always I brand I tried to bought on sale, its style never dates, they tend to have classics that are similar in style every year with some variances, ie denim, good quality tees and dresses. Needless to say it was always a size bigger and for the next year. In saying that, I generally am not the best sales buyer, I love new season! When new season starts I tend to purchase the things that are new that I truly love, nothing is as disappointing as saying soemthing you love and not buying it and then constantly search for that piece that has sold out! I have learned from past mistakes not to take it easy because the seasons are early, if I see something for and its 40 degrees outside I will buy it and then I know its mine! Also I am not a laybyer! I admire the discipline that my lay by customers show, I am of the "instant-gratification" school! I see it, I buy it and I am happy! I always advise the same to my customers, from sales purchase things that don't date from one year to the next, styles that you and your child love because you know they will wear it, and the odd statement piece that injects the child's personality! And when you see new season items that you love, buy them because they disappear and you are left disappointed. So I guess now is a great time to visit our shop because we are on 50% Off all our summer range and BOY OH BOY there are some great pieces to be bought right now! Also everyday we have new season deliveries so you have the best of both worlds! We discuss that quite often with my friends, I have friends that buy everything on sale and will drive to some great distance for that sale piece and some that hate sales and buy what they want as soon as it comes in! So my question is what sort of a shopper are you a sale or full-price shopper? Hope to see in store for those great bargains! Sale shopper....but you know that!